How can silica gel work when it’s inside a sachet ? 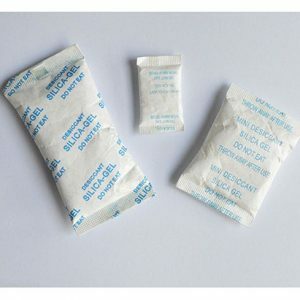 The materials used to make silica gel sachets are specifically chosen to be breathable. Water vapour passes through them to be adsorbed by the silica gel. Does silica gel comes ready to use ? Yes . The silica gel does not need to be ‘generated’ before use. It is always sold (loose or in sachets) in a dry condition, ready for use. How long can silica gel be usefully stored ? needed for use – it will, of course, adsorb moisture from any environment. conditions – it is recommended that they are not left open to the atmosphere for longer than 15 minutes. How much water vapour can silica gel hold ? Is silica gel dangerous ? 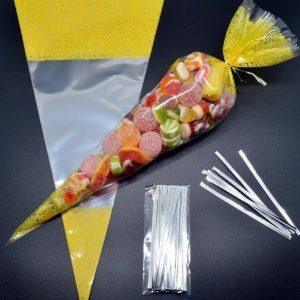 Non-indicating (white) silica gel is non-toxic and non-flammabl e, it is very inert with a very high melting point.It is very much like sand and thus can safely be sent by any means of transport. Does silica gel get wet as it adsorbs water ? No it doesn’t, it traps water molecules inside its pores yet remains dry and appears physically unchanged . Silica gel is a desiccant then ? Yes, it adsorbs water vapour by physical means, not a chemical reaction. Water vapour is attracted inside the silica gels crystalline structure.